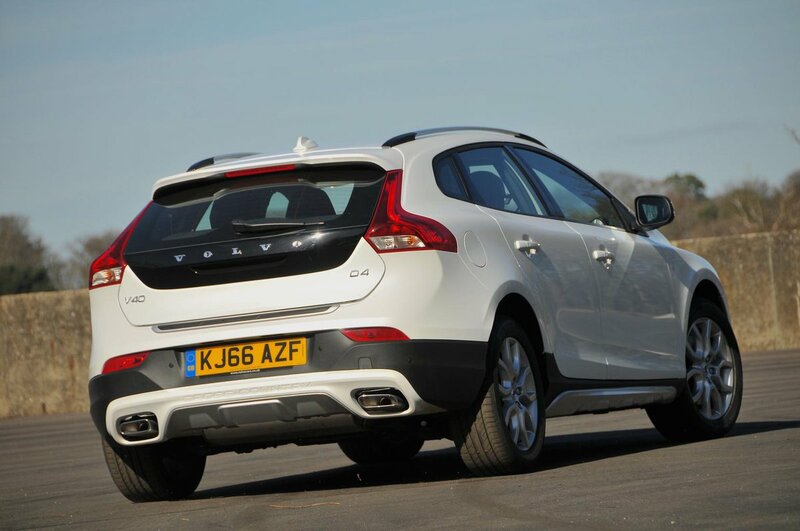 Volvo V40 Cross Country Performance, Engine, Ride, Handling | What Car? 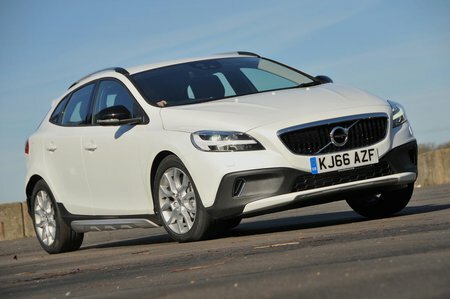 The V40 Cross Country is adequate but unexceptional in terms of its ride and handling. It doesn’t feel too jarring over bumps and ruts but the body moves about a lot, leaning heavily through corners and bobbing up and down over most scruffy surfaces. All of the family car and small SUV rivals mentioned drive more keenly and have a better ride quality. Still, at least it settles down well at higher speeds, and while the steering feels vague, it’s weighted well enough to offer confidence whether you’re in town or on the motorway. The 2.0-litre D2 diesel does feel a bit flat at low revs but picks up smoothly and feels punchy enough from then on to make for relaxed progress. A slicker gearshift for the six-speed manual gearbox would be welcome, but you don’t have to change down too often to get the best from the engine. The D3 and D4 diesels are more powerful versions of the same 2.0-litre engine and both require less patience when accelerating from low revs and when overtaking on faster roads, but we think you’re best off sticking with the cheapest D2. The T3 petrol is either a 2.0-litre or, strangely, a 1.5-litre if you pair it with Volvo’s automatic gearbox, although both units produce the same power. With the diesels’ same low down pull you notice yourself having to work this engine quite hard on faster roads, but for those who mainly cover miles in town it’s a safe bet. The more powerful T5 2.0-litre petrol feels stronger, but is probably the least recommendable engine of the range, thanks to its thirsty nature and expensive price tag being automatic and all-wheel drive only. Whichever engine you go for, there’s quite a bit of road noise at higher speeds, while the diesel engines do sound gritty and strained if you let them rev, but at least on a steady throttle or at lower speeds they’re fairly quiet. The petrols are much quieter most of the time.